A waterline break has occurred on the 3rd floor; water is coming out profusely onto the lower levels and getting into electrical sub-panels, while at the same time another unit has complained of their carbon monoxide detector going off along with a strong smell of gas. Which of these two emergencies is a higher priority that poses a greater risk to life and property? If you answered, "strong smell of gas", you are correct! These are both maintenance emergencies we hope to never have to go through; but would you and your team know what to do in the event of a more catastrophic event such as a natural disaster, fire at the community, long term power outage, a vehicle hitting a building, or an active shooter reported at the property? None of these scenarios are ones we would like to think about; but Benjamin Franklin said it best, "By failing to prepare, you are preparing to fail". This webinar will provide key considerations when developing an emergency preparedness plan, risk mitigation, triaging afterhours callouts, FEMA recommendations for responding to natural disasters, which emergency supplies to keep in stock, and how to best respond to an active shooter at the community according to the U.S. Department of Homeland Security. 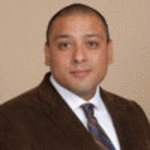 Join Angel Davila and the Webinar Wednesday Team on March 6, 2019 at 12pm to Create an Emergency Response Plan!